Remember years ago when a copy of a car key could be made at most hardware stores in a span of a minute or two? Plus, it would only cost like two dollars to get it done. 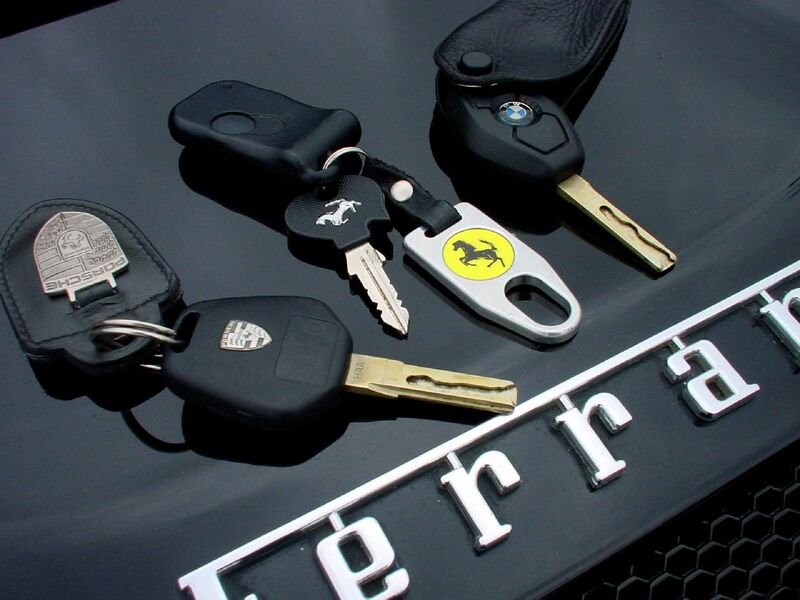 Now most modern vehicles have electronic key fobs, meaning there is a remote control or transmitter built into the key. Because of this, if you lose this high tech key it will cost you a pretty penny to replace it. In fact, it will be many pretty pennies. To replace a lost key fob you are looking at a price tag of $100 to $500. Some of the cars that I see out on the roads don’t appear to even be worth $500, so it is like a slap in the face to have to buy a fancy key to replace your lost one. If you don’t already have a system down to keep your keys in a safe place, then consider one of the ways listed below. It will save you a headache down the road and won’t have you wasting your money on replacing these high tech keys from the future. It doesn’t get much simpler than this. Place a tiny bowl near the door you enter your house with. Once inside the door, develop the habit of dropping your keys into the bowl. You will always know where they are at, and this solution to losing your keys costs you absolutely nothing. Unless you don’t have any bowls in your house, then it will cost you about a dollar. An electronic key finder may cost you about twenty dollars. You must place one of these alarms on your keychain, so if you ever lose your keys just simply grab the remote control, press a button, and hopefully you will hear your keychain beeping. Usually you have to be within fifty to eighty feet of the keychain for the remote sensor to work. Plus, if you lose the remote, too, then you are fresh out of luck. There are much fancier ones as well where the item attached to your keychain is connected to your phone through an app. You can literally use GPS to hunt down your lost keys. Be prepared to pay a bit more for this type of hi-tech hide and seek, but it will well be worth it if you ever do lose your keys. Plus, if your car ever gets stolen and the perpetrators are using your car keys with the GPS unit, it will be great fun to hunt them down and play a real life game of cops and robbers. You could also be taking advantage of a convenient magnetic key holder hanging on the wall in your garage. Once you get done parking your car just toss your keychain up on the magnetic key holder until you are ready to leave the house again. This way you are always guaranteed to find them in the right place. How easy is this? Be sure to have a magnet powerful enough to support all of your keys hanging from them. I’ve seen some people’s keychains and it appears they are in the hobby of collecting as many keys as possible. Little known fact, though, most keys are not magnetic. So your keychain has to be made from some sort of metal that is. Another little known fact is next time you come across a magnet you will be testing your keys to check if they are magnetic or not.